Dumaguete is the epitome of a friendly and laid back city on the water, it has almost everything you could need, while not being too big or crowded. 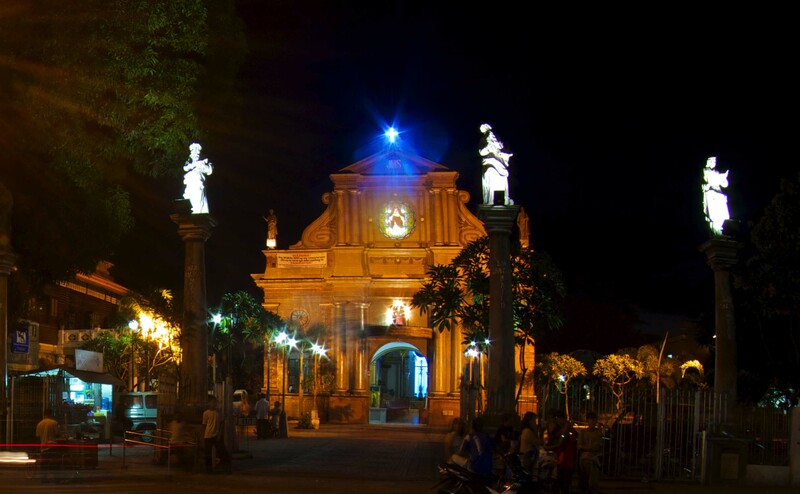 One of it’s biggest appeals may be that you can easily be out of the central city, up the mountain or sitting on a quiet beach within 20 minutes, or that the locals, known as Dumagueteños are some of the friendliest in the country. (Provided you’re not travelling at rush hour!) With all of this in mind, the beautiful city itself has a lot to offer too. In deep Visayan (the local dialect) Dumaget means “to get” or “captivate” and as word goes, it could be the basis for the name of our beloved city. Back in the 1700’s raiders in our neighbor island of Mindanao used to come to the Southern coast of our Island on slaving runs. They were known to have abducted over 600 people from the southern region. Today we use the term for Dumaguete slightly differently; due to our city and it’s surrounding excursions captivating appeal to outsiders who often stay a lot longer than planned! Ironically, the old raids on the city has provided the city one of our most iconic landmarks, the bell tower or Belfry. Standing tall after many years next to the City Cathedral which happens to be the oldest stone church in the region. Originally, there were four watch towers built in 1750’s keeping the city safe, until the raids stopped in the 1800’s. Three were subsequently torn down, with the remaining Belfry being left as one of the most photographed scenes in the city. For more on the history of the Belfry this article has some interesting facts. Another iconic landmark in our beautiful city is Rizal Boulevard, named after the national hero of course. It incorporates an ancient Acacia tree promenade running along the waterfront. Locals and tourists alike might wander, jog, rendezvous or get a quick open-air massage. You may hear a few tales of why it has this nickname, but the romanticized idea that women would wait for their sailor lovers who would promise a return and a proposal and never reappear, is among the most popular. During the evening there are many options for local and international cuisine. It’s a great way to watch the moon rise over the ocean. Later on you can find the interesting bars and the dancing scene along here and certain roads leading off it. 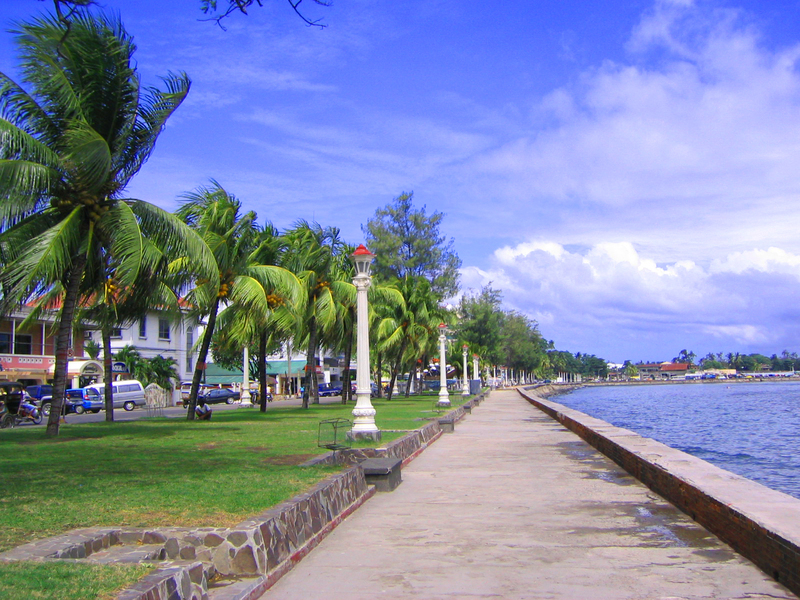 Dumaguete has a total of 4 universities which take up a large proportion of the city in terms of space and population. During term time the city can as much as triple in size. Silliman University was funded initially in 1901 by an American citizen Dr. Horace Silliman and is among the oldest in the country. It was the first American accredited school in Asia and many students travel from all over to avail of their well known level of education. The many campuses across the city can make for an interesting day tour in itself, all with different vibes, layouts and history. 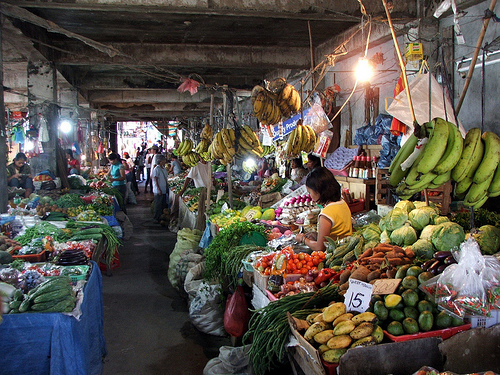 I can’t talk about Dumaguete without mentioning the thriving centre of the city; the huge inside market place. Bustling from dawn to dusk to bring the local fresh goods to the merchants. It might be one of the most cultural experiences in the city. A cheap and local breakfast of budbud (sticky rice) and locally produced hot chocolate cannot be beaten. So, if you’re there, go early and don’t miss it. You might not be able to find such a diverse mix of local produce across the region as this! If you’d like to book a city tour with us you can ask at reception during your stay. Find out more information here. Good post, lots of beautiful places near Dumaguete, if you want to visit Dumaguete and other parts of Negros or the neighboring places, try visiting our website dumagueteneo. You can book tours there and find restaurants, it’s cheaper and easier for the people to get around. Thanks for sharing! !